Benefits of exercise and meditation during pregnancy: fitness and power. That’s a phrase that you’ll hear often, but does it actually have a basis in science? The answer depends on a multitude of factors, first and foremost whether you lump exercise and meditation together as one activity, as people do, for instance, when they study the effects of Yoga. We live in the Internet Age, when it’s easy to find articles saying that any given activity –eating chocolate, for example, or drinking beer– provides benefits in pregnancy, lactation, or other aspects of reproductive health, but you must examine all claims with a critical eye. Any activity that is powerful enough to help your body also may entail drawbacks, or risks. To make sense of all of this, it can be helpful to understand how research studies are conducted, interpreted, and sometimes misinterpreted. Benefits of a treatment or activity are scientifically meaningful, only if the research methods can isolate the effects of that treatment or activity from what are called confounding factors –phenomena that may go along with the factor that you are testing, or with the effects that you’re trying to find. Studying enough people and doing the math, for example, you will find a negative correlation between marathon running and lung cancer; marathon runners have a lower risk of developing lung cancer compared with society as a whole. But you cannot conclude that marathon running prevents lung cancer, unless you also account for smoking. It happens that marathon runners tend not so smoke, which means that smoking is a confounding factor. Researchers looking for a connection between anything and lung cancer must isolate the smokers when they do their math, and smoking is just one example of hundreds of potential confounding factors that can influence the conclusion of a health study. Along with causing lung cancer, smoking also is horrible for a developing embryo or fetus. Consequently, when reading about a study claiming to show a benefit of exercise, meditation, or anything else in pregnant women, one thing you’ll need to check is whether the researchers have accounted for smoking. After all, somebody who exercises and meditates while pregnant is probably less likely to smoke compared with somebody who doesn’t pursue those activities. Accounting not just for smoking but for numerous possible confounding factors is called controlling a study, and it’s just one of several things that must be done in order for a study to be meaningful. Unfortunately, there are a lot of studies published that are of poor quality, due to poor control, or to bias, of which there are many types. One type of bias that is really hard to avoid is called publication bias, which is when the result of a study influences whether or not it get’s published in the first place. In health, the way it works out is that studies suggesting that a treatment or activity has an effect are much more likely to get published compared with studies showing no effect. Suppose that 100 researchers each conduct at study of the effects of Yoga on the pregnancy in ten women. Together, they are studying 1,000 women, which could reveal a lot, if one reads all 100 studies But suppose that only 10 of the studies reveal some benefit, and the other 90 show no correlation between doing Yoga and any pregnancy outcome, good or bad. Which studies will end up in scientific journals? You guessed it, the 10 researchers whose math shows that Yoga has an effect will feel compelled to publish their results, while the other 90, the studies showing the opposite result (no correlation), are not likely to bother submitting to a journal, especially if they were testing only a few women. Even in the event that a few studies showing no effect of the factor that’s being measured do get published, how will those studies be treated a non-scientist who is motivated to promote whatever it is that’s being tested? You’ve guessed it, those studies will be ignored, while the studies showing an effect will be emphasized. Cherry picking studies through the science literature, one can make the case for just about anything, but science has a way to confront this problem. ‘Out of many, one’ —E pluribus unum in Latin– has served for generations as the motto of the United States, but it also has meaning in science. Taking all available studies together, reviewing them, eliminating those studies that are flawed for various reasons is known as a systematic review. When scientists do this kind of review, and are able to put together data from several valid studies, and run the math on those data, it’s like doing one big study. This is called a meta-analysis, and very recently there was a good one published on the topic of exercise and pregnancy. In this study, researchers looked for links between exercise and factors such as gestational diabetes and/or whether a woman’s glucose challenge test is abnormal, gestational age of the newborn and/or preterm birth, birth weight, and a sum of measurements on the newborn known as the Apgar score. So what did the researchers find? First of all, they found hundreds of studies in the science literature containing keywords like ‘pregnancy’ and ‘exercise’ together, but most of them were flawed, or inappropriate for drawing any conclusions about whether exercise is good if you are pregnant. This left six high-quality studies whose results could be combined in meta-analysis, but combining those results turned those studies into one big study encompassing 2,164 patients! Doing this demonstrated that exercise had no effect on birth weight or premature birth, nor did it improve Apgar scores. However, the meta-analysis did show that exercise decreased the incidence of gestational diabetes, which means that exercise is indeed a good thing during pregnancy. Some who advocate meditation have postulated that it should benefit pregnancy health, based on several lines of reasoning. First, there is a popular belief that meditation leads to less anxiety and tension in those who meditate. However, it could be that those who are inclined to meditate are less anxious to begin with, as compared with those who are not inclined to meditation. The same goes for beta-endorphins, chemicals that are produced in the brain during intense exercise and that are suspected to be elevated during meditation. Some studies have suggested that meditation could be good for blood pressure and heart rate, possibly through enhancement in the DHEA, a steroid hormone that has multiple functions in your body. However, these studies tend to involve very small numbers of volunteers, and since they involve feelings and thoughts it’s hard for researchers to control for confounding factors. Because it is tempting to take encouraging study results out of context, you may hear claims about meditation, such as that it can increase the chances of normal birth. But there is really no science to back up this claim. It turns out that when you search the scientific literature for studies on meditation and pregnancy, you find more studies evaluating, not meditation per se, but Yoga. In this area, there was a recent systematic review and meta-analysis conducted by Chinese researchers and published in a good journal, BMC Psychiatry. The researchers found a possible hint of a beneficial effect for those doing prenatal Yoga. However, the team concluded that there weren’t enough data to sort out what’s really happening, whether it’s the movement and stretching, the combination between moving stretching, and breathing, or the sensations that people feel in their minds. In short, not much of anything is known, and so the researchers concluded that more research was needed. 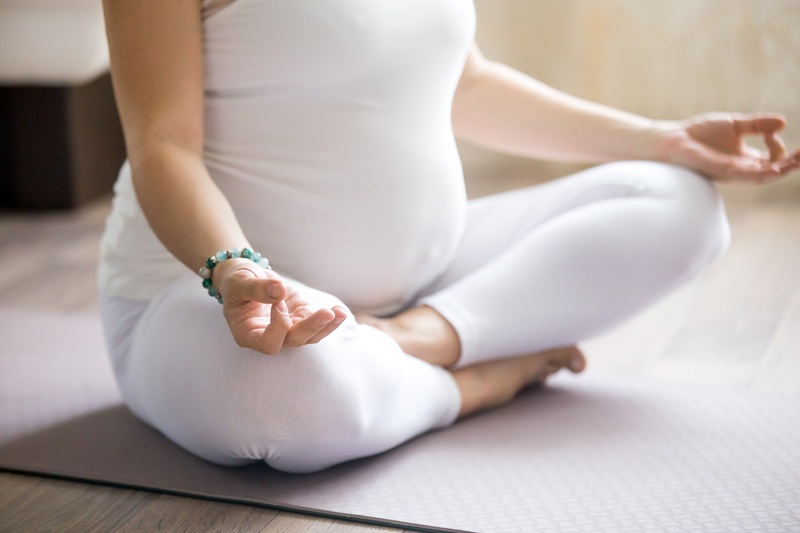 As for studies on meditation separate from Yoga during pregnancy, the few that have been published either have involve just small numbers of women, or used questionable methodology, or both. One study in India, for instance, divided 74 pregnant women (at 12 weeks gestation) into two groups. The control group received standard obstetrical care, while the experimental group also participated in ‘mindfulness meditation’. 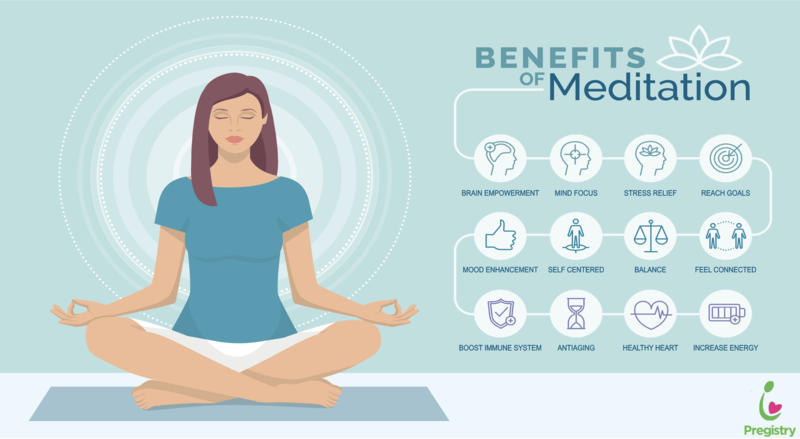 The researchers reported a decrease in heart rate and blood pressure for in the meditating group, but it’s not clear whether the decreases had any clinical meaning. They also found a decrease in the stress perceived by the subjects who meditated compared with controls, but this was based on the subjects themselves reporting the stress reduction. As with heart rate and blood pressure, there’s a built in problem in doing a study of an activity that can be conducted only if the subjects are aware of it. This prevents the use of what’s called a placebo –something, such as a sugar pill– that substitutes for the factor that’s being tested. Does this lack of evidence for a benefit mean that you should not meditate? Not really. There are plenty of things that you might do while pregnant that aren’t necessary for your health, or for the health of your future child. But it also could mean there is no need to knock yourself out. Meditation relaxes many people and you may be one of them. On the other hand, you might also get the same relaxed feeling listening to music, watching a movie, or doing anything else that you find enjoyable, or that breaks up your daily routine.